Like many professional women, I rushed out to buy and read Facebook COO Sheryl Sandberg’s book Lean In: Women, Work, and the Will to Lead. The main premise of Sandberg’s book is that to be successful, women need to more actively “lean in”—lean in so they have a seat at the meeting table and not on the sidelines; lean in with their supervisors and ask for that raise; lean in to carving out time in their professional ascent to have children, etc. Sandberg’s book intrigued, inspired, and motivated me to work harder, sleep less, and say yes to every opportunity. I thought having it all as a professional woman meant I just had to be creative and find more hours in the day—to succeed at work, have a relationship, work out, hangout, meet up with friends…the list goes on and on. When I look around at the women in my life—with or without kids, working outside the home or in—I wonder if anyone else feels like they’ve leaned in so far that they’ve fallen flat on their face. Leaned in so far that they don’t feel like they’re doing a very good job at anything; leaned in so far that they don’t have any margin left; that they’re too tired, too busy, spread too thin to be effective at anything in their lives. I sure have. 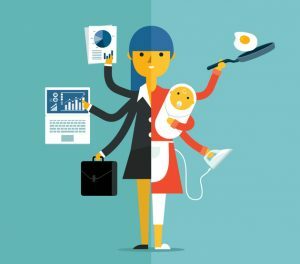 However, for the first time in my life, I find myself also willing to raise my hand and say that as a woman, mother, colleague, and full-time consultant, I simply can’t do it all successfully. At any given moment, there is someone—a client, my child, my husband, my friends, colleagues—who should be my top priority, but quite simply isn’t. 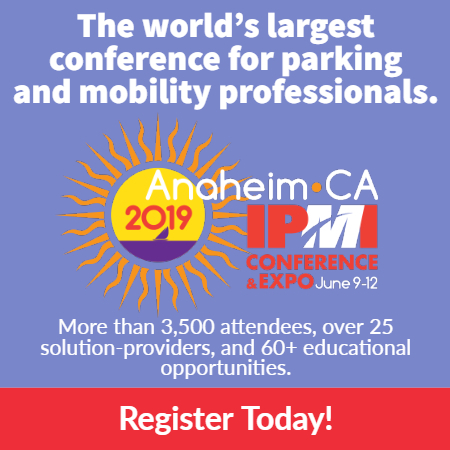 As parking professionals, we’re lucky to belong to one of the most supportive industry families I’ve ever experienced, and for my part, I want to make sure that I’m leaving the industry better than I found it. As such, I would challenge you all to not only talk about our successes and what’s going well in your lives, but where you’ve failed; where you’ve disappointed someone, where tough choices had to be made, and where you maybe haven’t performed to the best of your ability. I believe that it is these moments where true change and progress are made. I also believe that it is in these moments that we set meaningful examples for those who are looking up to us or who depend on us. It is in these moments that you’ll set an honest example for your team, co-workers, and the other women and men that you supervise, mentor and train. And finally, it is in these moments that you can say yes, I’m leaning in, but today, I also might need to lean on you, too. Vanessa Solesbee, CAPP, is an associate with Kimley-Horn. Great blog. Great advice Vanessa! I can relate whole heartedly to this. What a great piece. Thanks! For all women in parking and for all women, thanks for telling it like it is Vanessa. You are not alone! And, let’s face it, lots of men in the workforce are stretched and juggling, too. Unfortunately, we live in a 24/7 society. Moments of honesty and humanity are to be cherished.